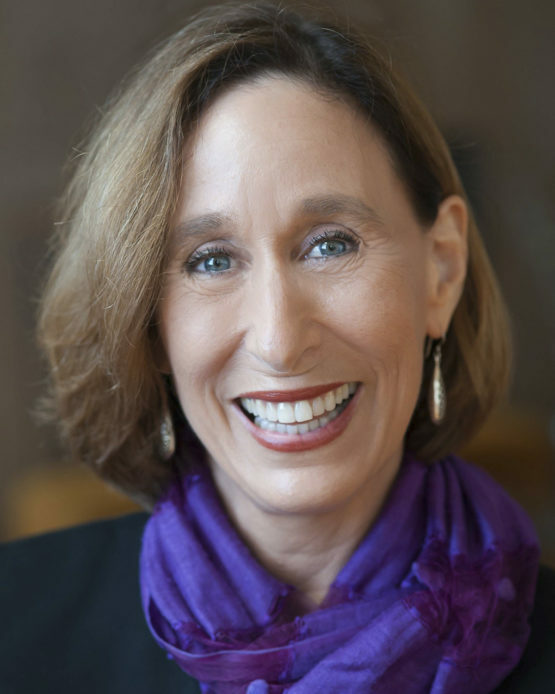 At an award dinner this evening, the Stanford Alumni Association will present the 2018 Richard W. Lyman Award to Tina Seelig , a professor of the practice in management science and engineering and a faculty director of the Stanford Technology Ventures Program , the entrepreneurship center in the School of Engineering. Each year, the alumni association presents the Lyman Award to an outstanding faculty member for extraordinary service to Stanford alumni. The association established the award in 1983 to honor Richard W. Lyman, Stanford’s seventh president. “A Stanford alumni favorite, Tina Seelig is a veritable academic force of nature whose infectious enthusiasm makes learning a true pleasure,” said Howard Wolf, vice president for alumni affairs and president of Stanford Alumni Association . Alumni are very interested in entrepreneurship and Seelig, who explored the ability of entrepreneurs to make their own luck in the 2018 TED Talk, The Little Risks You Can Take to Increase Your Luck , is in high demand as a regional alumni speaker on the subject. She is the author of the 2015 book, Insight Out: Get Ideas Out of Your Head and into the World . The alumni association said Seelig has contributed to its mission of reaching, serving and engaging alumni by participating in a variety of programs, including Stanford+Connects , a 2013–16 global event tour; Leading Matters , a 2008–11 global event tour; and “ Classes Without Quizzes ,” talks given by faculty during Reunion Homecoming. Seelig helped expand Stanford in the Wild from a creative writing retreat at Sierra Camp – a family camp located near South Lake Tahoe, California – into an interdisciplinary celebration of the Stanford experience that brings together alumni, faculty and students for a long weekend of in-depth learning and collaboration. Seelig, who earned a doctorate in neuroscience at Stanford Medical School in 1985, teaches at the Stanford d.school (Hasso Plattner Institute of Design). One of the courses she teaches is Unlocking Creativity in Prison , which focuses on factors for unlocking innovation and entrepreneurship in prison in partnership with The Last Mile, a training program at San Quentin State Prison in northern California. Seelig leads three fellowships in creativity, innovation and entrepreneurship in the Stanford School of Engineering , including the Mayfield Fellows Program , an immersive entrepreneurship work/study program for Stanford undergraduate and co-term students. How will artificial intelligence change hiring?